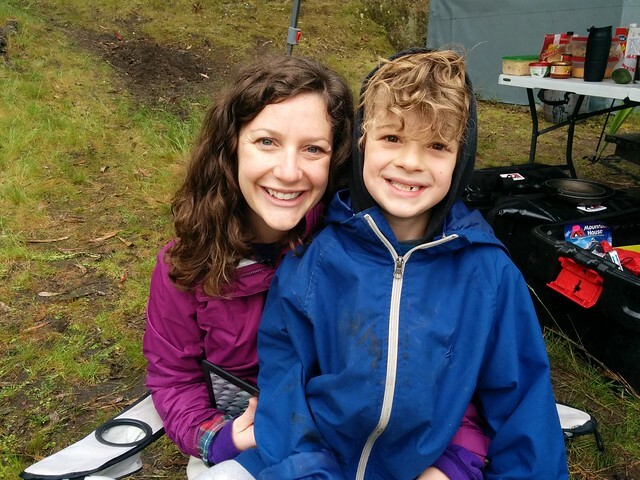 Our fourth annual camping trip went off without a hitch. We've figured out how to streamline things and were up on the mountain and set up in no time. 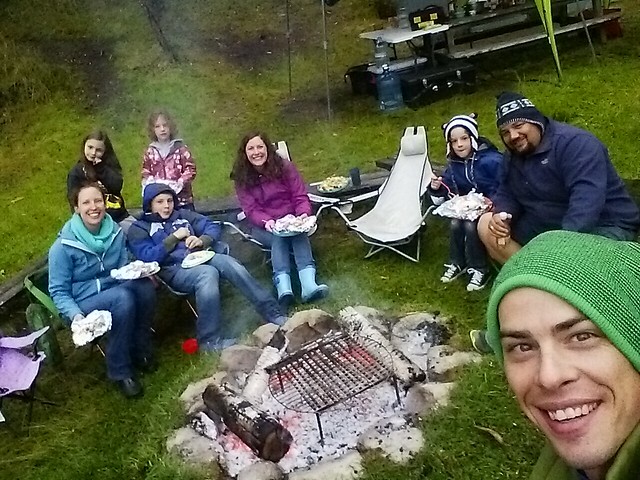 We tried out some new camp food, with campfire pita pizzas, s'mores ice cream cones, and more. We skipped our usual perimeter hike, we played Dutch Blitz under the canopy while trying to keep our cards from blowing in the wind. The older kids did throwing knives, the little girls couldn't keep their hands off the walkie talkies, and there was hammock time. My hips were sore, my shoulders were sore after two nights on the hard ground. 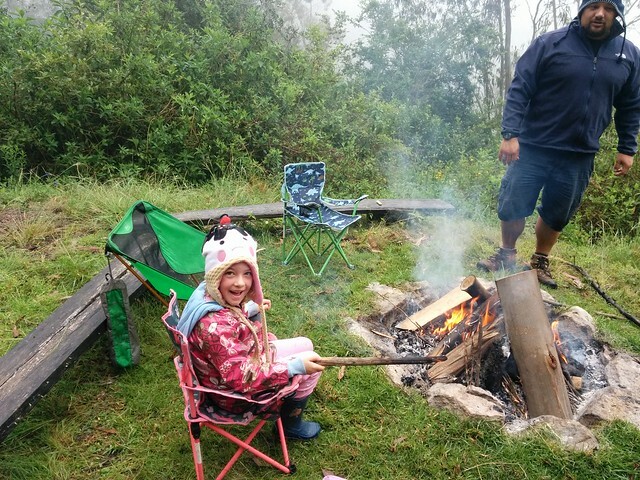 Eden is obsessed with the fire and spent hours each day just poking her stick into the fire. Also new this year was allowing the girls to go off and explore by themselves. They were somewhere on the mountain for a good hour, checking in by walkie talkie every 10 minutes or so. We were impressed that they stayed away that long and impressed that they made it back to the campsite without asking us to come find them! 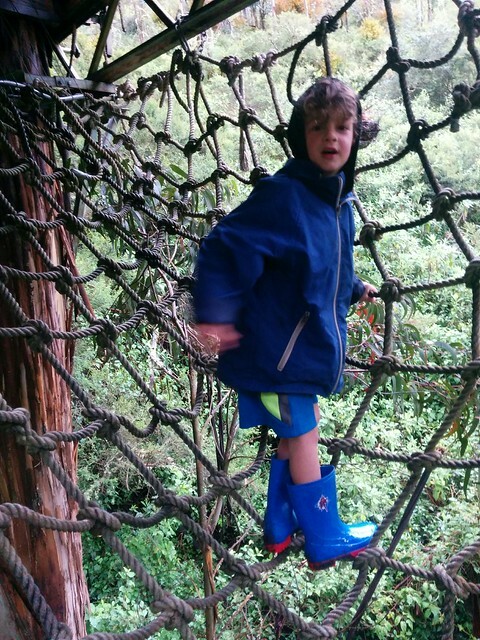 We are thankful this is a private, safe property to let our city kids feel a bit of independence and adventure. 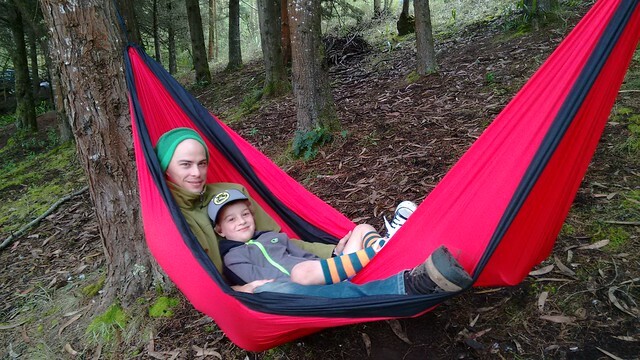 Canaan learned an important camping lesson: always wear pants when exploring. (We only suggested he change about 10 times!) He got a huge thorn stuck in his calve and we coudn't get it out. It was really sore and starting to get infected. Three days after we got home I was finally able to pull it out, much to his relief, and it was almost a full centimeter long! We fought the rain this year more than most and felt a little damp and disappointed to not get as much time around the fire at night. But we still appreciated the lazy evenings of conversation, alternating between feeling hot and cold depending on which way the fire was blowing.